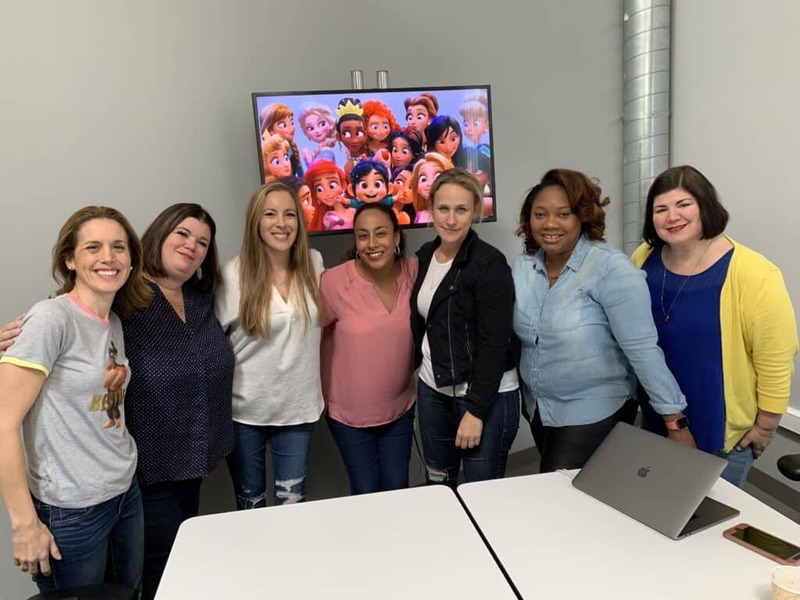 I had the pleasure of interviewing Ralph Breaks the Internet co-writer Pamela Ribon. I REALLY enjoyed speaking with her because the people behind the curtain are my absolute FAVORITE. Yes, the celebrities are always a treat – and I know they bring the biggest draw to the big screen. But it all begins with the pen. Am I right? Someone saying “what if”. What if we get a bunch of princesses together in a room? What if Vanellope finds herself surrounded by them all? What if we see them interacting for the first time together on the big screen? What would that look like? YES! Now, tell me more. Pamela Ribon is someone who likes to ask those kinds of questions. What if? And you know what? Because Pamela asked… her work turned into an absolute Disney sensation that quite literally broke the Internet. Disney fans from around the globe imploded with joy. I think if that was a real thing we would have a Thanos-like situation on our hands. It was THAT good. As someone who prides herself to be the truest of fans, my heart was filled with such joy watching the ladies all interact together during their downtime in their comfy clothes. And I was so lucky to grab a few minutes with Pamela Ribon to ask her all about how she put it all together. We only had a few minutes with Pamela Ribon and we made the most of it. Unfortunately, I can’t show you the scenes, slides, photos that we were able to check out. It was pretty neat to see the original sketches and concepts. Like I said, I truly believe that’s where the REAL magic is hidden. But I can share her words and her thoughts. Her passion! Pamela didn’t believe it was all going to work, but once it did the princess scene was priceless. Putting the scene together, how did the concept solidify? When I first wrote it, I read it and then I had a panic attack. I laid on the ground and I thought to myself, “I am going to get fired. I am going to turn this in and then they are going to put me in Disney jail! Who do I think I am?! Or… it just might be a big deal. I mean, I was aware that this isn’t normally how the Disney princesses typically interact. I brought it to work and I read it and Rich said we should board it and tell nobody. Let’s just put it up during our first screening and show them what we mean. It’s not easy to show people what we mean without showing them. And so, the team showed it! How do you think the fans reacted? I mean… take a guess? Oh My Disney is a real fan site with lots of quizzes. We were thinking about D23 and Comic Con. It felt like a great safe place for Vanellope to meet her fellow princesses and learn that being a princess has some really great parts to it and she can embrace those parts that she’s never had before. So, because we weren’t telling anyone and because we hadn’t had official approval yet, I did all the voices in this first run. There were about 9 screenings and each time we had a different version of the story and the last version is the best of the best. There were times when this sequences didn’t even necessarily fit with what we were doing anymore but we didn’t want to lose it, but we also recognized that it may not last if it couldn’t evolve with the story. The Disney princesses look a lot different than what we are used to. Talk about that process. A lot of these princesses had never been rendered in 3D which was a problem. How were we going to make them look and feel like the princesses we look and love in a movie that they aren’t from. 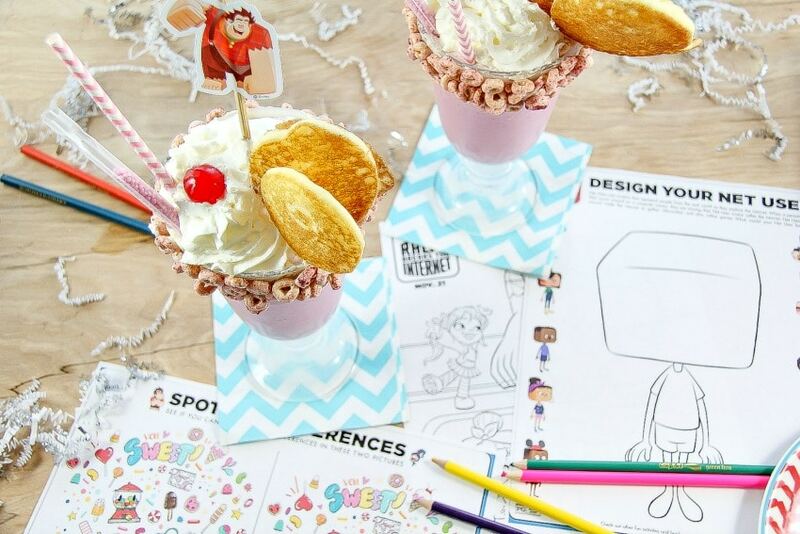 We wanted them to have a uniformed feel that was specifically what the princesses are at OhMyDisney.com in Ralph Breaks the Internet. This is their job. They are at work and then they are off work hanging out in the green room. So, they had to have a uniformed look and feel that was so specific to this film that you wouldn’t see that Snow White and think where is she from? She is CLEARLY from this movie. 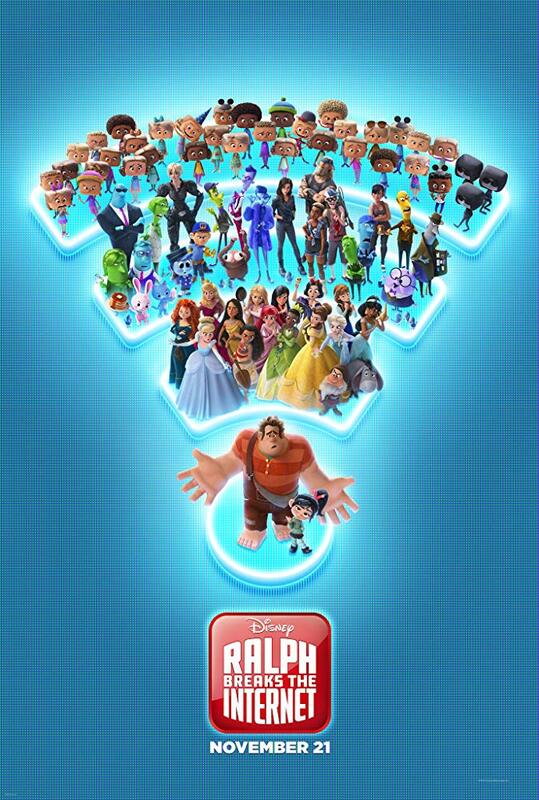 Ralph Breaks the Internet hits the theatre this FRIDAY! Do not miss out!! You are going to love the princess scene!! 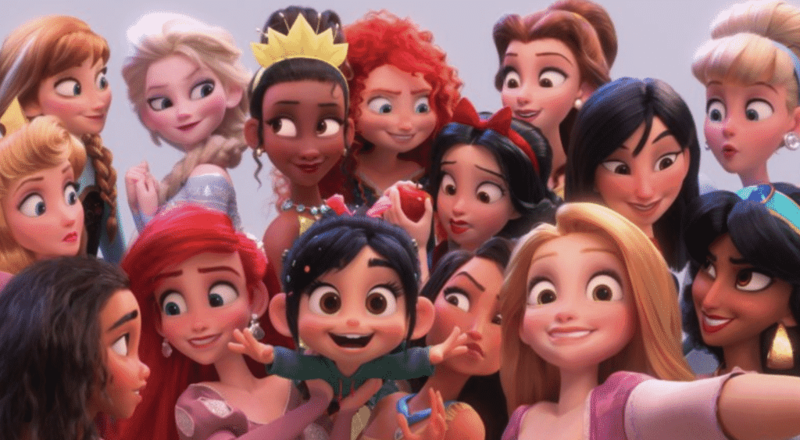 As part of the Ralph Breaks the Internet movement, the Disney Princesses are seen lounging around in comfy clothing. Each of their sweatshirts represents something relatable to their own persona. It’s all actually quite adorable. Aurora is the nap queen. Belle is a Beast Best Friend. You catch the drift. The first thing I wanted to know was whether or not I could get those pajamas for ME RIGHT NOW. I mean… my daughter. Not me… how silly! Well, the answer is YES to both cases. Available in all types of sizes, y’all! If you want to check out some of the princess pajamas, click here. 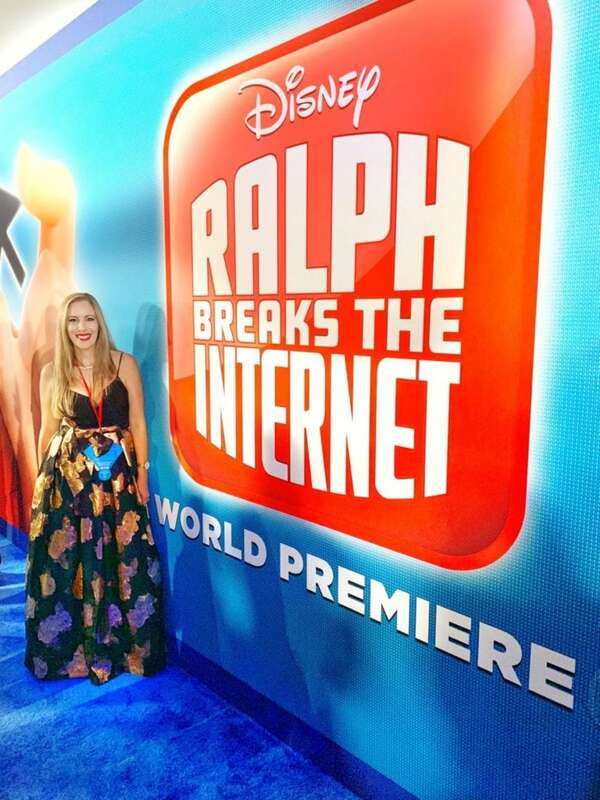 Disney invited me to LA to attend the red carpet premiere of Ralph Breaks the Internet. Travel and accommodations were covered. All opinions are my own.